Shooting photographs in the winter can be a challenging prospect. Shooting in cold weather can cause foggy lenses and batteries that drain more quickly than usual, for example. Then there are exposure problems caused by sun and reflective snow. Each of these issues can be difficult to deal with on its own, but it can be a significant hindrance to your photographic results if you have to try to combat more than one of these issues. Try these tips to improve your winter photography results and overcome any problems that the weather conditions may give you. White balance is the biggest problem with shooting photographs in environments with a combination of white snow and bright sunlight. When automatic cameras have problems properly judging white balance, white objects in the photos tend to have a bluish look. If possible, manually adjust the white balance setting on the camera to a cloudy day setting, which should remove the blue tint from the snow. If you'd rather not rely on the white balance to create the proper settings in a scene of bright, white snow, you have a few other options. Using a "snow" or "winter" scene mode sometimes can help with this problem. Exposure can be tricky to set properly for winter photography. If you have an object that you want to be properly exposed in the image, place it in the center of the frame. Hold the shutter button halfway. Then recompose the photo so the object is where you want it to appear, while continuing to hold the shutter button halfway, which holds the exposure in place. Then press the shutter fully to record the image. As another option, especially if there are a lot of harsh shadows in the image from bright sunlight on white snow, try forcing the flash to fire. With bright external light, the flash can act as a fill flash, removing harsh shadows on the subjects and improving exposure. One benefit of shooting in the bright conditions of snow and sun is your camera can use a fast shutter speed, allowing you to easily shoot action photos of a skier moving down the mountain or a snowball fight. Take advantage of the fact that there's plenty of light available and shoot all of the action photos that you want. If it's snowing while you're shooting the photos, you may have some snowflakes that appear blurred across the frame of the image, as shown in the photo attached here. As long as this blur doesn't detract from the subject quality in the photo, the blurred snow look can provide a nice look in your image. If you're shooting on a cloudy day with snow cover, the photos can have a flat, dull look. Depending on the thickness of the clouds, you may want to use a fill flash for all photos. With thin clouds, though, the snow will still reflect plenty of diffused sunlight, making good exposures easier. Different types of clouds can lead to different requirements for exposure, so be sure to try a few different techniques, perhaps even using exposure bracketing. If you had planned to shoot photos on a particular day, but you wake up to snow falling outdoors, don't automatically give up on the day. 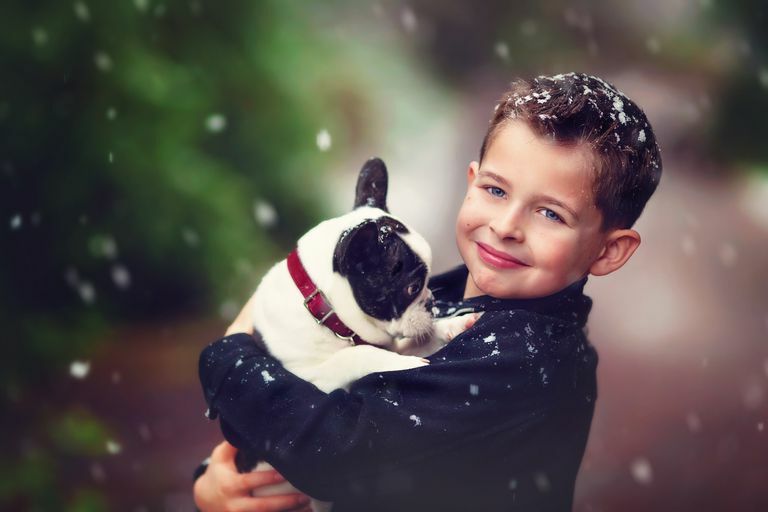 The ability to shoot images with snow falling around the subjects can create some great photographs. With the snow falling in the foreground, you can focus on a subject in the background, and the falling snow will have a blurred effect around the subject, for example. Just be sure to keep the camera in a waterproof camera bag or a zipped plastic bag when it isn't in use, protecting it from wet snow. Finally, be sure to take special care of your equipment in winter conditions. Obviously, avoid extremely cold conditions for long periods of time, which can drain your battery or cause the LCD to malfunction. Quickly moving the camera from warm to cold conditions can fog the lens or cause condensation inside the camera, which could cause damage. In fact, such condensation eventually could lead to mold growing inside the camera. Or you could end up with a lens that's constantly foggy, leaving you unable to shoot clear images in the future. So move the camera slowly from outdoors to indoors, allowing the camera's temperature to rise steadily, rather than suddenly. Place the camera in an unheated garage or car first, then move it to a pocket near your body while you're still outdoors, where your body temperature will help to warm up the camera slowly, before moving indoors.